Now that the New Year is upon us, so many of us are busy writing resolutions and striving to put our goals into practice on a daily basis. If you’re like most people, you’re probably trying to eat better, go to the gym more, and perhaps plan a special trip to go on to really enjoy 2019 to the fullest. Or perhaps you have workplace goals (finally ask for a raise or apply for a promotion?) or personal goals (work on improving your happiness levels in your marriage? Try not to yell at your kids as much?) or faith goals (read the Bible or the Koran every day? Pray about problems instead of just worrying about them?). There are so many worthy New Year’s resolutions to choose from… make sure you pick some good ones to kick off 2019 on a positive note. Whatever you end up choosing as your New Year’s resolutions, one thing is for sure… you want to accomplish something! We here at Extrude Hone AFM understand and agree with that sentiment 100%. That’s why we’ve carefully designed our process to achieve ideal results for all kinds of metal machined components. Read on to discover what extrude honing accomplishes… and don’t forget to request your free estimate today by calling (562) 531-2976 or by filling out this Get a Quote form. 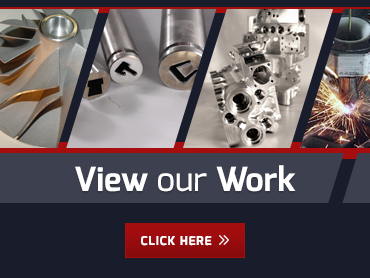 We have been serving the aerospace industry for over 48 years, and we take great pride in improving the surface finish of metal components down to the microscopic level. Our process has an incredibly precise level of execution to meet even the most demanding design specs in the aerospace industry. If you work in the aerospace industry and you’re curious about sending a metal component or two through our process, we invite you to give us a call at (562) 531-2976 or fill out this Get a Quote form. Extrude Hone AFM also proudly serves the medical industry. Our process is especially beneficial for surgical operations because it allows for a genuinely smooth introduction into the body, with no burrs (even at the microscopic level!) that could allow for the presence of bacteria, which could cause an infection. Give your patients the absolute best care by sending all your key metal components to Extrude Hone AFM to undergo our patented process. We’ll smooth and polish every part without changing the geometry of it in the least. You’re going to be thrilled with the results when you send metal components to Extrude Hone AFM. Got questions? Want an estimate? Give us a call at (562) 531-2976 or fill out this form to Get a Quote today.